If you wish to stay close to the Sector 3 bus stop in Shimla in a comfortable accommodation, then this cozy 1 BHK home is just right for you. 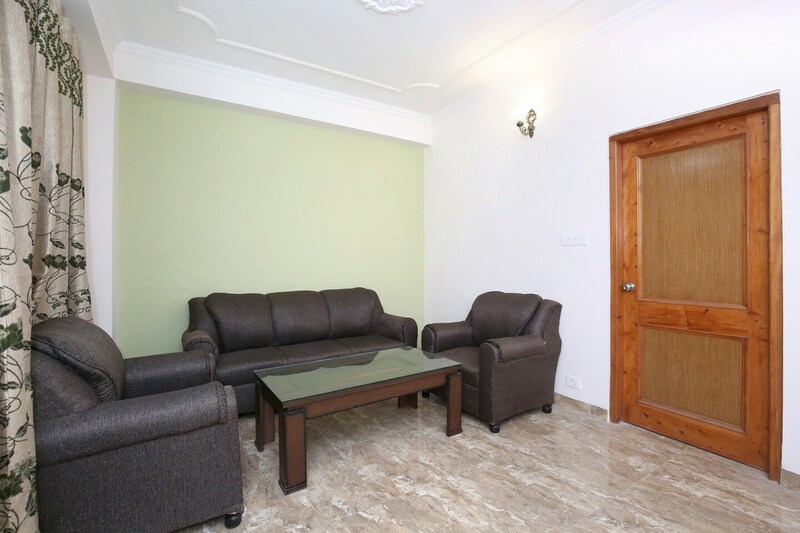 It has a spacious bedroom, a well-furnished sitting area and a classy dining area. A separate kitchen will also be at your disposal with basic amenities so that you can cook yourself a hearty meal. Alternatively, you can check out some of the nearby eateries as well. The bedroom here includes all the basic amenities like TV, refrigerator, a room heater and a geyser in the bathroom. The property accepts card payments and is very secure.